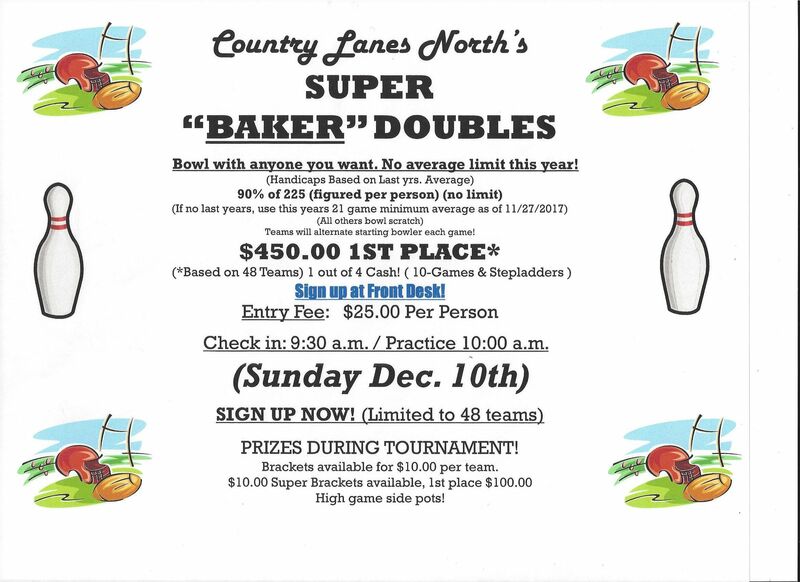 Whether you're new to the sport or a seasoned bowler, Country Lanes North has multiple tournaments throughout the year for you to participate in. 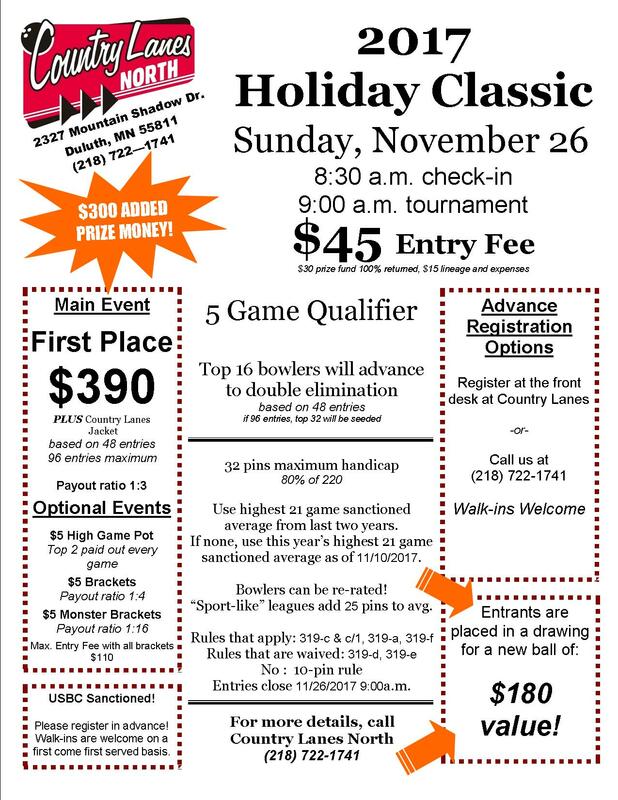 To register for a tournament today call us 218-722-1741. Top 16 Bowlers will advance to double elimination based on 48 entries. If 96 entries, top 32 will be seeded. 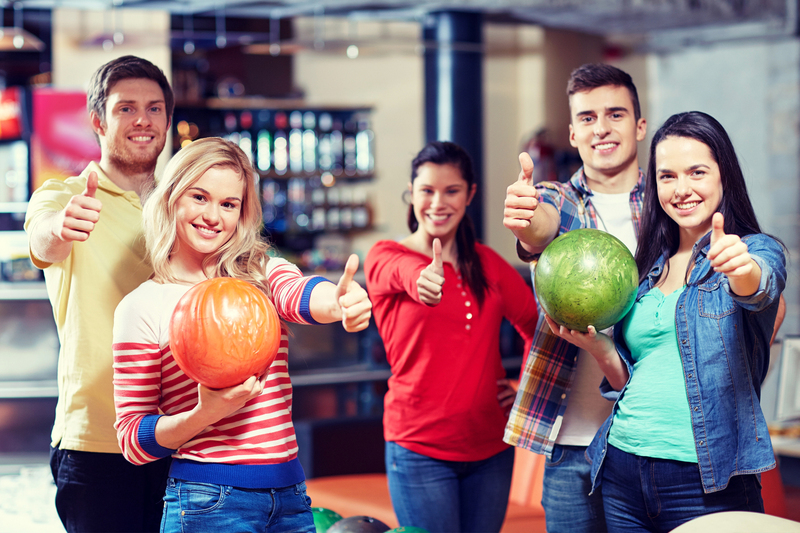 Bowl with anyone you want. No average limit this year! USBC Sanctioned! 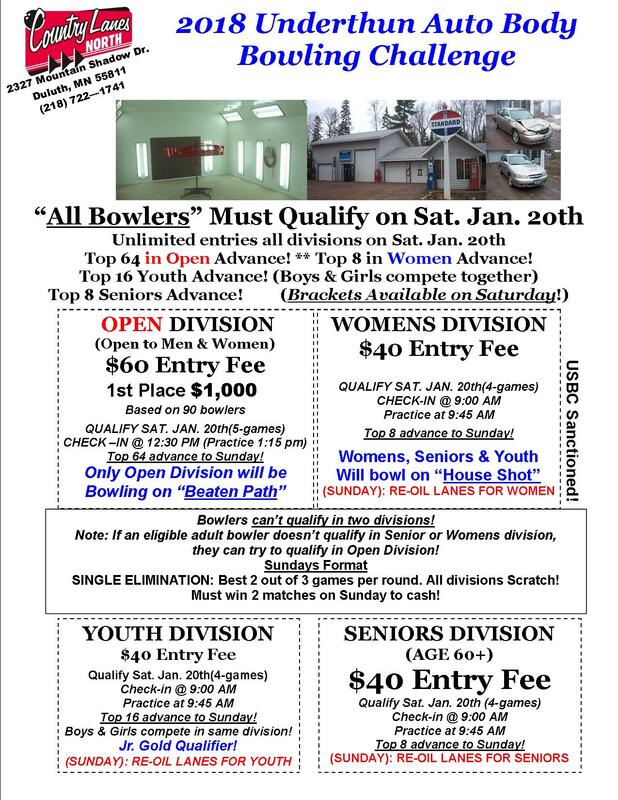 Bowlers cannot qualify in two divisions!